Answer: Yes, WRITE more high quality unique original articles and submit them consistently over time. Have you noticed how we’re growing EzineArticles.com? 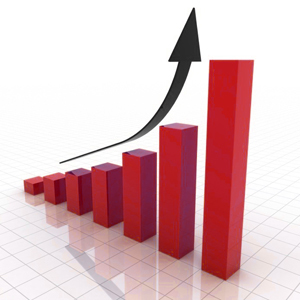 Have you seen or heard how our traffic keeps rising each month? Do you think it has anything to do with how we help our expert authors publish tens of thousands of new articles per week that we human curated, twice each? As it [publishing high volumes of unique quality articles] works for us, so shall it too work for you in your niche! Start by joining our #HAHD challenge to write 100 articles in 100 days, and then set a course for writing & submitting your first 1000 articles within the next year. Lastly, don’t rewrite your own articles as our system will automatically reject derivative works. A good reminder that writing huge number of qualities articles and submit consistently over a period of time is the secret. That’s it, that’s all you need to know to succeed in anything. And when I read your post, I smiled, as your advice sounds like “Number 1” to me. You see, there really are no major short cuts in life. It’s best to just follow this four step plan and follow the program. Chris is correct and I am glad Zack agrees, because I do too. If we are really going to be serious about “re-writers” then we really need to take a look at those article marketers using “software tools” to cheat and do the same thing. That is my belief, and I’d like to know EzineArticles stance on this topic. And if “heads are going to roll” when you catch someone using such software. I mean it’s getting pretty obvious to me who’s doing what out there. We do NOT approve of the method of software generated articles (aka Frankenstein articles) nor PLR articles being rewritten, nor any computer generated content creation software or service provider. Members get suspended, terminated and banned DAILY for this behavior, including Premium members. From algorithms this type of articles comes from; algorithms on our servers is how we are addressing this issue. The proprietary software is about to enter its’ 4th generation of being completely rewritten to combat this type of thin content. 1 out of 4 articles submitted NEVER makes it to our humans to review. 1 out of the 4 articles that DO make it to our humans to review never makes it live on our site. That means we’re auto rejecting 10,000 articles a week and manually rejecting 10,000 more articles a week for a total of 80,000 articles MONTHLY that never make it live on the site. This issue won’t be solved over night, but it has our attention and we’ll continue to make investments to stop thin regurgitated software drive articles from making it live on EzineArticles.com. WOW, good stuff, I was thinking the other day, that it is some what of a software war, as the PLR crowd and AI derivative software article making programs get better, you have to make your software better to catch them. Some day, and I hope not soon, the cheaters will have perfected their software, and no one, including the reader will be able to tell, that is the day the music dies for many of online article writers on the levy. Good to know you’re on the ball with this stuff. My wife and I are newbies to online business and having learned how to build a website, with much cursing and frustration, we now have to learn the fine art of article writing to publicize our site, the content of which is all our own work. We were advised by a mentor (paid) to simply go to EzineArticles and do a copy and paste of someone elses’ work. This sounded all wrong to us, if we were doing that how many others would be using same article we’d chosen? Apart from diluting the power of a good article surely it would defeat the whole purpose of our working to learn this business. We’re enjoying hearing the authentic voices of the posters to this forum and learning a lot. Many thanks to all our teachers. By the way we are 67 years old and on a steep learning curve! I’d ask for a refund from anyone stupid enough to sell you the idea of ripping off someone else’s content and submitting it as you own. I agree that a lot of effort is needed. As for 100 articles in one hundred days for me that`s a tall order. I`m sure I could do it, but whether the quality could be maintained throughout I`m not so sure. Quantity and quality debate goes on. Consistent quality must follow consistent submitting. Chris, can you tell me something about your #HAHD challenge competitions? Do you find ‘consistent quality’ in the participants? If so, is this an increasing or decreasing function of quantity? Quality assures writers’ satisfaction. For me, if I try to compulsorily produce one article a day I may not be satisfied with all of them. What do your results show? Like Geoff says I’m not sure too. Maybe I am not competent enough. Everything is relative. But assessment of competition results would surely help many, I think. Consistent Quality as Quantity scales? That’s the ‘what’s not easy’ department. What I find odd is that some authors may be satisfied with their high quality single article or handful of articles; …this is what we call “Admiring your serve” in racquetball instead of putting your eye on what your real job is: Getting ready to return the ball or in this metaphor, writing the next quality article instead of admiring your work. But, everyone has different goals. Yes, I am one of those. What I found in doing this contest that making sure that my articles are quality ones is have somebody (beside yourself) proofread them. They may even notice if your articles are not of the kind of quality as they were earlier. Since I started late in this contest, I’ve worked on a minimum of 3 articles a day. And at times 5-6. Thanks for your comment. Nice to know from a participating writer. To go further, if you produce 3 as planned you are happy, if it’s 5-6 you are happier. Does it mean you are satisfied with the numbers only? Are you happy with the content you’ve produced? Apart from ‘admiring your serve’ which is optional there is always a sense of fulfillment after writing a quality article. This cannot be denied by any writer. Do you get it with ‘compulsory production’? Just curious, you know! I know where you are coming from. In writing the amount of articles I do per day, the flow seems to be better than when I only write 1 per week. It is much like any other endeavor – whether it’s sports, performing, or running a business. Once flow is establishing, performance increases and even quality may to. BTW, at the times I write, my mood is high. Since EzineArticles has quality control check all published articles are quality articles. But ‘how much quality’ is the question–average, good, excellent or outstanding. This is relative and as Chris says not easy. Now, someone who is a full time article writer and marketer–from what s/he stands to benefit the most, Quantity or Quality? Meaning limited articles with high quality and unlimited articles with average quality. As to how to get more exposure, here is a formula I just made up, complete with plus signs and equal signs.. I like that, and pretty much that’s it, so folks that wish to succeed should just stop trying to cheat or game the system and write great articles, and enough of them, consistently to make it all happen. In addition i think that unique articles require writing and re-writing till you are thoroughly satisfied with the finished article. You also need to make absolutely sure that what you write is relevant and that the information that you are setting out is accurate and informative. A hallmark of a unique article is that it will attract a greater audience and so, when writing unique articles you need to ensure that the content is not general but specific. Great article. Marketing is really going fast and mostly brands and product consider marketing their first preference. I think Never Giveup should be the first one. Patience is the key. You should write more and more quality article and then submit them and also be patient. This way you will get a lot of exposure.